What Is A Flush Plate? A flush plate is a sleek alternative to a cistern lever and is perfect for modern bathrooms with concealed cisterns. Choose between flush plates and dual flush plates depending on the capability of your cistern. 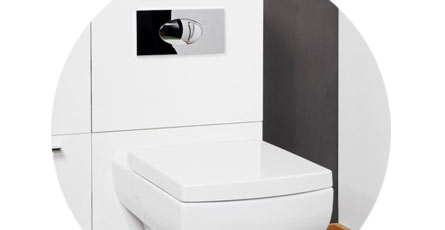 Contemporary style welcomes clean lines and minimalist looks which makes a toilet flush plate a subtle, yet stylish addition. Not only do flush plates offer a sleek look but they're easy to use and practical! If you're upgrading your toilet then flush plates are an excellent option. Find a flush plate with the latest technology, giving you extra functionality from a simple accessory. Some of our toilet flush plates have fantastic features such as dual flush, which helps save water; we're all about saving water here! You'll also find odour neutralisation, button illumination, and infra-red user detection to help wow visitors.